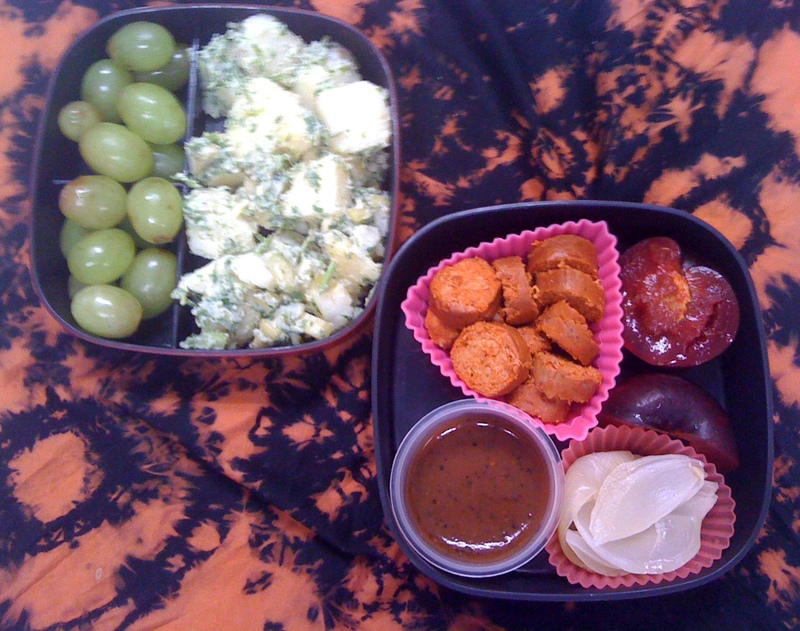 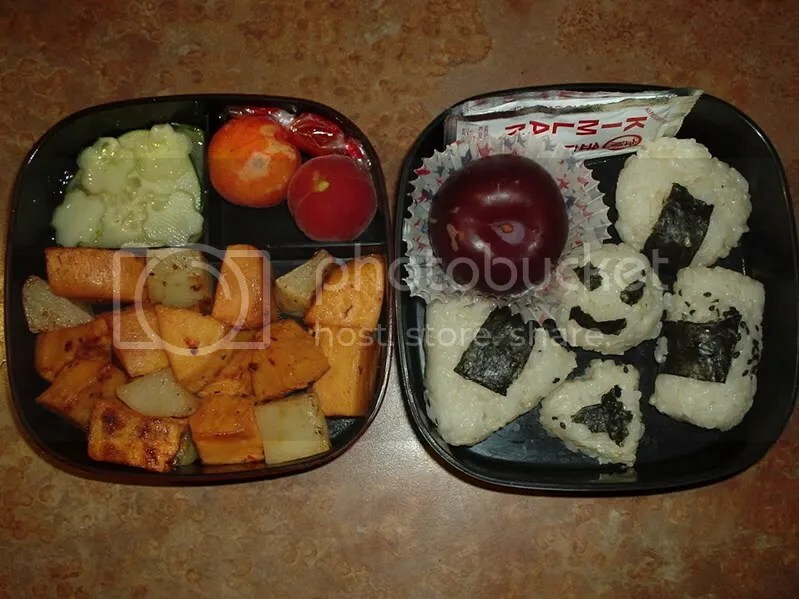 I had some leftovers from lunch the other day at work, so I decided to use my smaller bento and pack it with snacks. 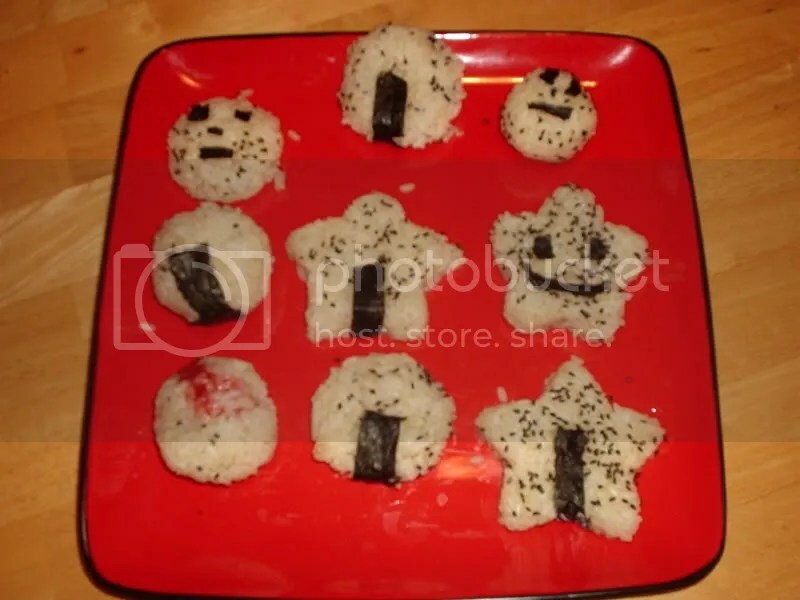 I made it in a hurry this morning so it’s not a cute as it could have been, but hey it tastes just as good! 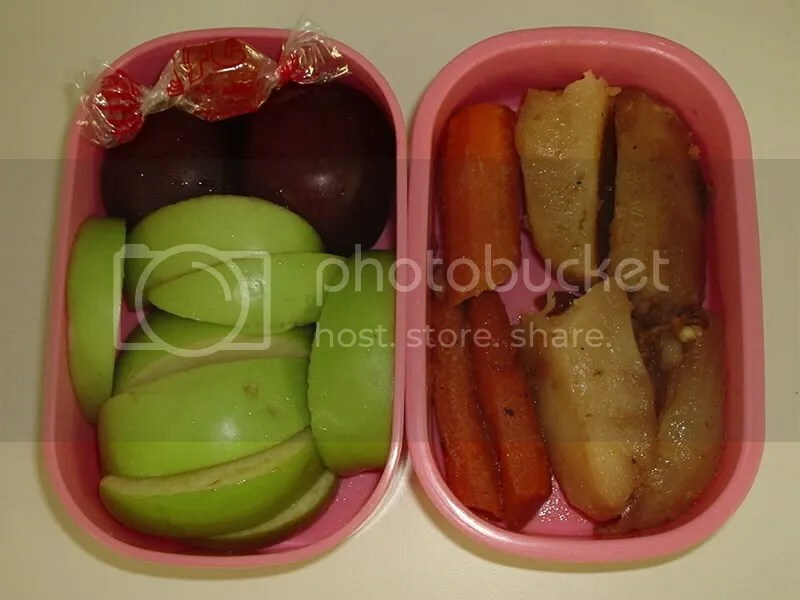 There’s a plum (cut in half), sliced granny smith apple, a rice candy on the left and some roasted veggies from dinner on the right.